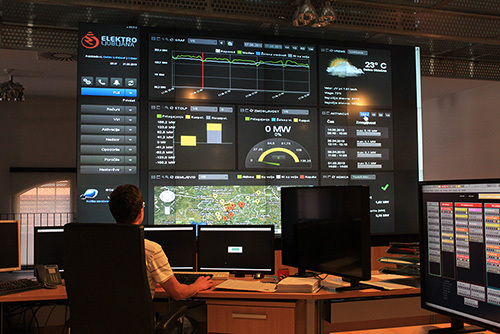 Toshiba has acquired a 76% interest in Austrian intelligent energy management cyberGRID GmbH. Toshiba has also recently acquired another U.S. based energy management company Consert Inc.
cyberGRID provides solutions in both areas with Virtual Power Plant (VPP), which matches electricity consumption with a variety of distributed generation. It offers customers a significantly lower cost alternative than conventional peaking power plants, and is environmentally friendly and CO2 neutral. Once VPP is deployed, utilities can deploy new capacity within months without any major infrastructure investments. The company has already introduced its commercial based system in Slovenia and is currently promoting sales to utilities across the Euro zone. "cyberGRID will create new values to our customers on both demand side and utility side, which provides an ideal fit with Toshiba's energy management business in Europe" said Ryuji Maruyama, General Manager of Toshiba's Smart Community Division. "cyberGRID's cutting edge VPP business and technology will be a key solution for Toshiba's smart community. It overarches energy efficiency facilities on the demand side and smart grid components on the supply side. When integrated with Landis+Gyr's smart metering solution, it gives utilities the ability to develop advanced services for consumers. Smart community is a high level concept for integrated solution package of social infrastructures, and Toshiba Group is accelerating its Smart Community business at the global level and this acquisition will contribute to that." Reinhard Korsitzke, cyberGRID's Chief Executive Officer added "This step by Toshiba is a huge advance for our company. We have developed an integrated platform for smart meters and VPP with Landis+Gyr, and that collaboration will be boosted and a strong synergy generated with cyberGRID as a member of Toshiba Group."